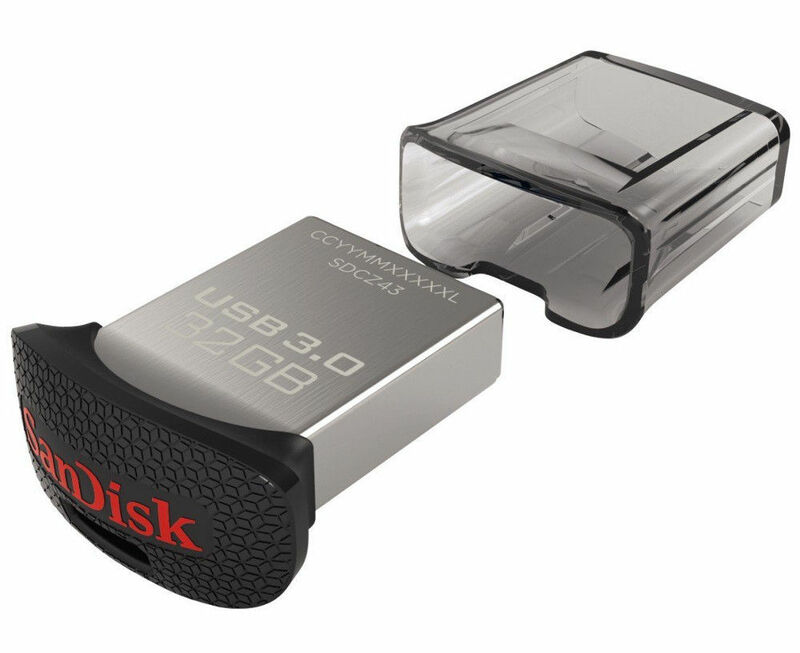 This ultra-small, low profile drive stays put for extra storage, or moves media super-fast between devices. Enjoy performance speeds up to 15 times faster than USB 2.0 drives, transfer a full-length movie in less than 30 seconds. 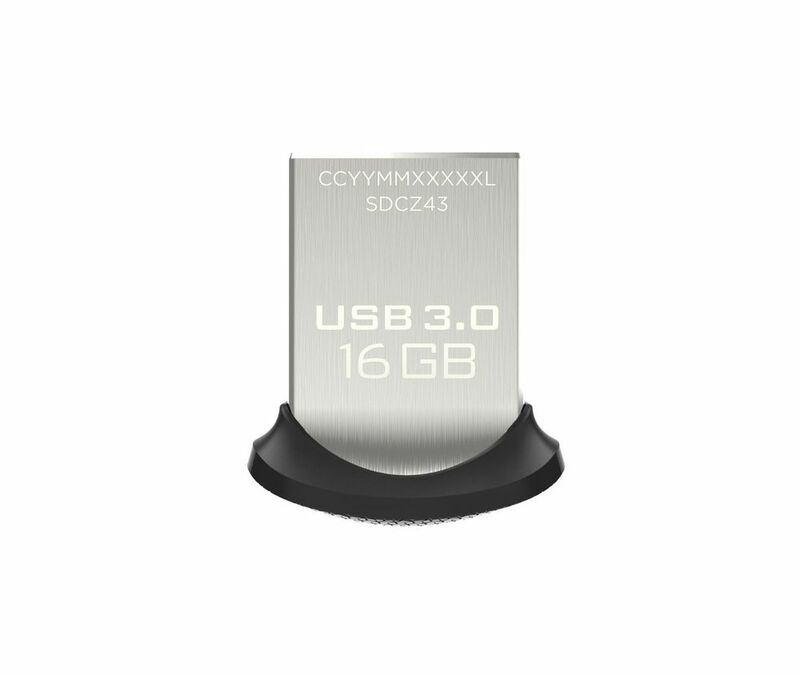 Extend your storage capacity by up to 128GB3 with this tiny, unobtrusive USB 3.0 flash drive. 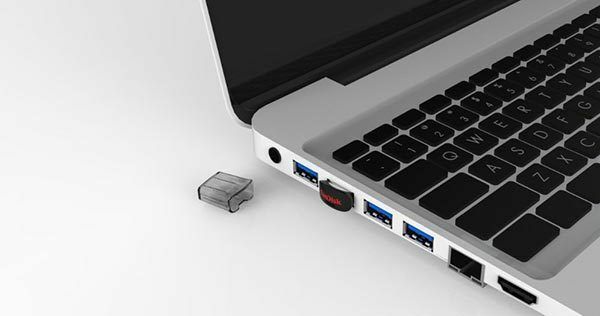 Connect it to hard-to-access TV USB ports for video playback or let it ride along in your notebook or car audio system wherever you go. 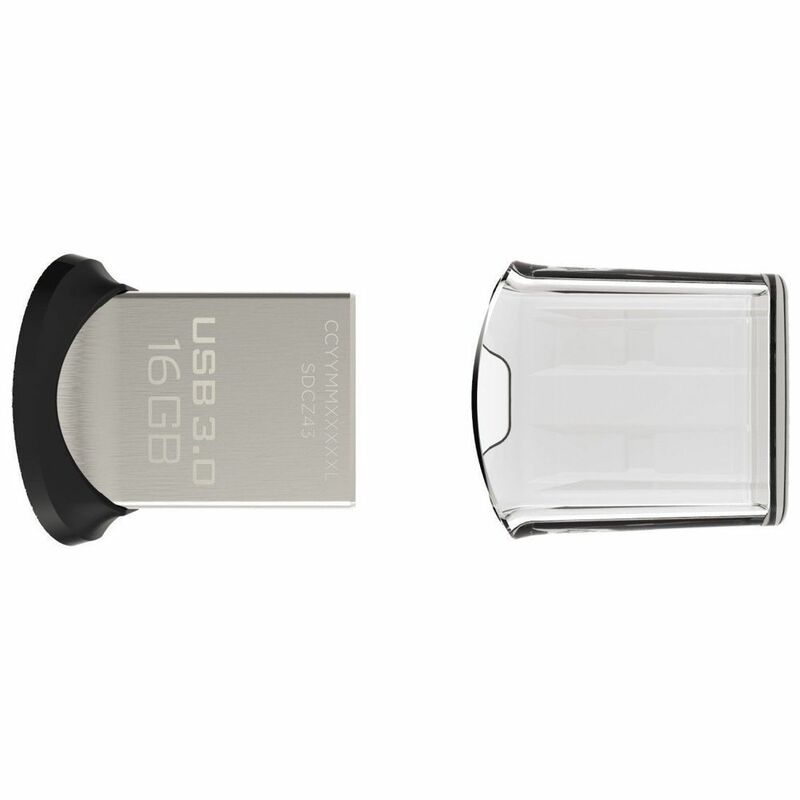 The wait is over with high speed USB 3.0 performance. Now it’s easier than ever to share your videos, photos and music collection among devices. 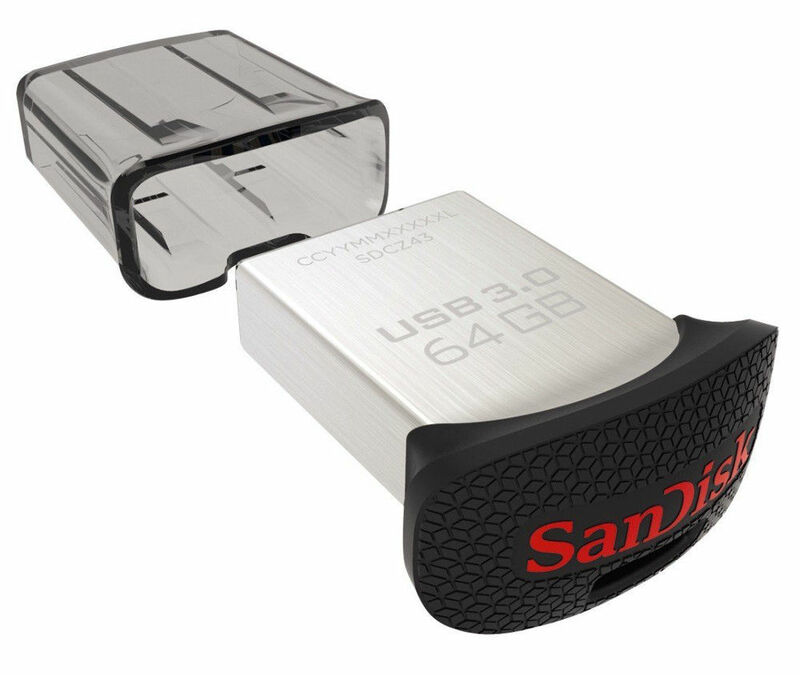 Transfer a full-length movie up to 15 times faster than standard USB 2.0 drives. 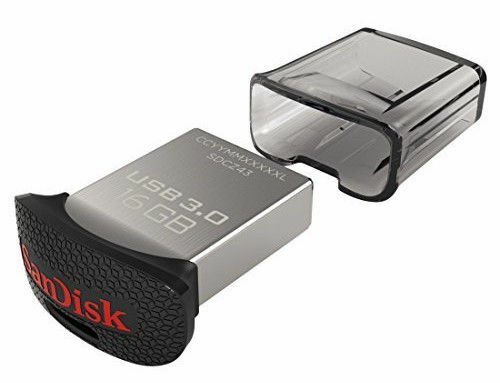 The SanDisk Ultra Fit USB 3.0 Flash Drive comes with SanDisk SecureAccess, which creates a password-protected private folder on your flash drive. Your private files are protected with 128-bit AES encryption, so you'll be able to share your USB drive without compromising your privacy. With a year’s free subscription to RescuePRO®5 software, you’ll be able to get back that file you didn’t mean to delete. Good Price at right price. Deliver person has to be followed up for many times and he managed to deliver it near his office address. Satisfied! First experience, just maintain it, you will rise! Excellent product, good packaging and fast delivery. very low prise, good delivery time. nice quality of product. totally very good experience of online shopping. Great product. Ultimate look, compact. Transfer speed is satisfactory. Product has suit my requirement financially and operational. Regarding infibeam this is my first @ infibeam. They have delivered product with 3 days as assured by them. Good Product.. Working well. Recommend the same for others in need. Great product. Best price online. Would like to come back for more.